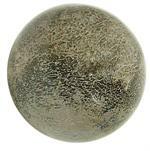 Item #FO-358: Approx. 4.25"x3.5"x.2" Amber (Dominican Republic) with thirteen winged insects of 204.79 grams. 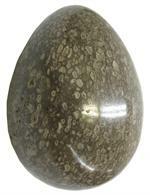 Item #FO-309: 3.1" tall Orthoceras Fossil Egg. 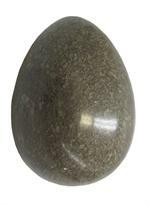 Item #FO-353: Approx. 2"x1.25"x.75" Amber (Dominican Republic) with insects (two psocoptera, fifteen diptera, two winged ants and warrior termite) of 23.12 grams. Item #FO-364: Approx. 1.5"x1.25"x.75" Amber (Dominican Republic) with insects (fly swarm) of 13.51 grams. 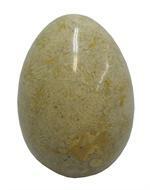 Item #FO-363: Approx. 4.5"x2.25"x.1.25" Amber (Dominican Republic) with insects (large moth, cricket & millipede) of 105.49 grams. Item #FO-350: Approx. 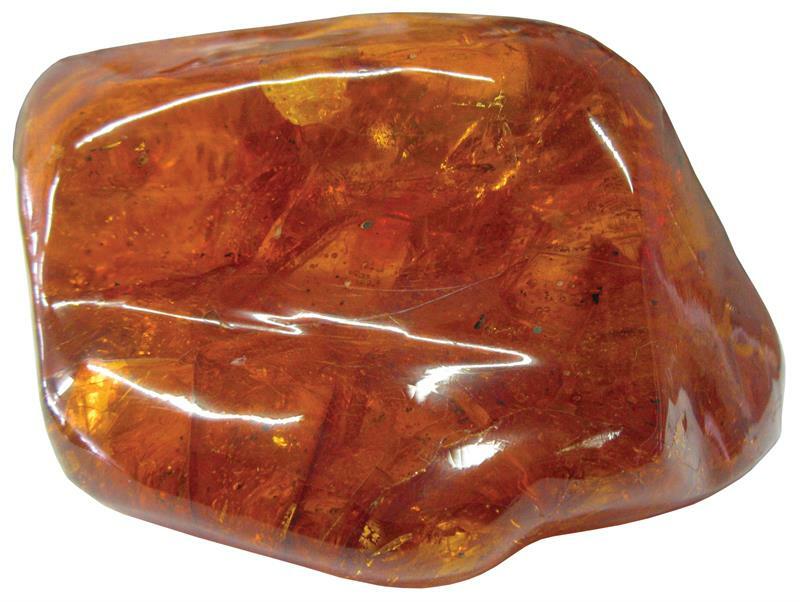 2"x1"x1.5" Amber with termite (Dominican Republic) of 34.98 grams. 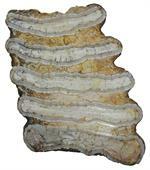 Item #AM-TT-AM-25: 1.75"-2.25" Ammonite "tractor tire" (Douvilleiceras, Mammillatum) (Madagascar). Approx. 112 million years old. 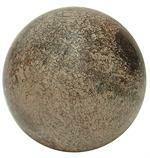 Item #AM-TT-AM-100: 3"-3.25" Ammonite "tractor tire" (Douvilleiceras, Mammillatum) (Madagascar). Approx. 112 million years old. 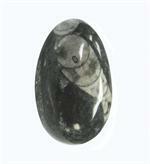 Item #AM-AMF-25: 3"-4" Ammonite (Colignoceras) (Madagascar). 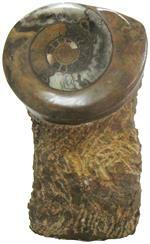 Item #IGM-AM-SCP-44: 5.5"-8" tall Ammonite fossil sculpture (Morocco). 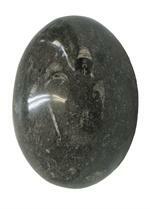 Item #FO-346: Approx. 9.5"x1"x7.25" Ammonite plaque (Morocco). Item #FO-348: Approx. 7"x2"x4.5" Brachiopd Fossil (Morocco). 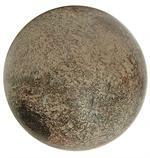 Item #FO-349: Approx. 2.75"x1.25"x2" Crotalocephalus. 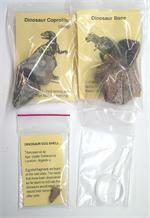 Item #BH-DP-10: This handy set contains three dinosaur fossils: a bone, coprolite (dung) and an egg shell fragment. Set includes 4x hand magnifier. Click for more details. 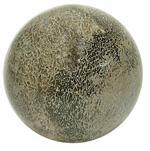 Item #DT-M20: Approx. 2.75"x.75"x.75" Dinosaur (meat eater) tooth of 34.04 grams. Item #DT-M10: Approx. 2.75"x.75"x.5" Dinosaur (meat eater) tooth of 18.01 grams. Item #DT-V12: Approx. 3.5"x1.25"x1.5" Dinosaur (vegetarian) tooth of 123.5 grams. Item #FO-341: Approx. 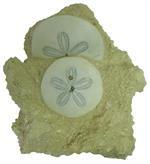 4"x2.5"x6.25 Echinoids (Sand Dollar fossil) of 1.75 lbs. Item #FO-342: Approx. 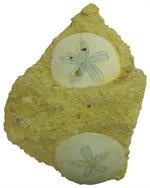 5.25"x2"x6 Echinoids (Sand Dollar fossil). 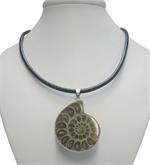 Item #MN-FA-12: Fossil Ammonite (Madagascar) Pendant in Silverplate on 18" leather cord necklace; Silverplated lobster claw clasp and 1" extension. Item #BH-FC-12/20: The collection contains twelve specimens including fossilized Algae, Ammonite, Horn Coral, Crinoid Stem, Brachiopod, Dinosaur Bone, Wood, Gastropod, Sea Urchin, Shark Tooth, Turritella and Trilobite. 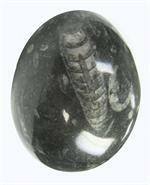 Item #FO-335: 2"x4 5/8" polished fossil Mammoth tooth cross section of 113.54 grams. 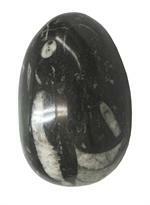 Item #FO-336: 3"x4" Polished fossil mammoth tooth cross section. 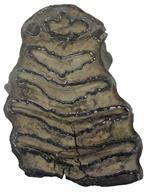 Item #FO-354: 3 7/8"x5 1/2" polished fossil Mammoth tooth cross section. Item #FO-347: Approx. 4.5"x2"x4.5" Fossil Mollusk (Northeastern Mississipi, 70-75 million years ago). 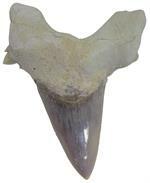 Item #IGM-FST-750: Fossil shark tooth (Madagascar). Size averages 1 1/4”-1 1/2”. 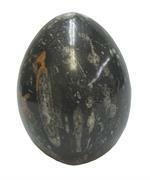 Item #IGM-FST-15: Fossil shark tooth (Madagascar). Size averages 1 1/2”-1 3/4”. 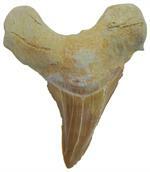 Item #IGM-FST-50: Fossil shark tooth. Size averages 2”+.